Josh Galt: "I am an entovegan" - Bug Burger - äta insekter! I have had a few conversations with vegan and vegetarian friends about eating insects. The reactions have been mixed. Some feel that insects are animals, and that you as a vegan never should “eat anything that can look back at you”. Some don’t really feel that there is a problem with eating insects as they don’t regard insects as sentient beings. But at the same time they don’t see why they consciously should make insects part of their diet. Josh Galt, 37, doesn’t see any problems with eating insects. He has set up his own diet, and his own philosophy. He call himself Entovegan. Bugburger: How did you get into eating insects, and why did you decide to make it part of your diet? Josh: I have been living in South East Asia for a few years, but the first couple years I was kind of grossed out by the insects on the street in food carts, honestly. Locals loved them, but I was not interested, they looked gross. The only insects I’d eaten had been crispy fried ants in Colombia a few years back, but I wasn’t keen to try these oily, leggy bugs sitting out on food carts in Cambodia. But then one day I was doing a google deep dive looking for information on sustainable urban farming and vertical farming, and I came across a couple of articles about the health benefits of insects, notably crickets. I couldn’t believe it! But being very health conscious I kept reading and researching, and after a couple hours I was on the street buying crickets and silkworms and beetles to eat – because despite the taste and the way they looked, the fact that they were allegedly so healthy for me was all the convincing I needed! However, over time I’ve learned that insects can taste MUCH, much better when not fried in the gross street-cart oil, and what the insects eat plays a role in their taste as well. From that time though I made a concerted effort to start eating insects and learning more about their nutritional benefits and how I could include them in my diet for maximum impact. Bugburger: According to your definition of Entovegan it’s okay to eat crustaceans. Can you explain way you made this decision? Josh: Yes! So, quite simply, when I was putting together the framework for how I was going to define this ‘entovegan’ diet, a friend of mine pointed out that shrimp are basically water crickets. It was only half joking, because we realized yeah that’s true, they are part of pancrustacea, which is very closely related to insects and arthropods. 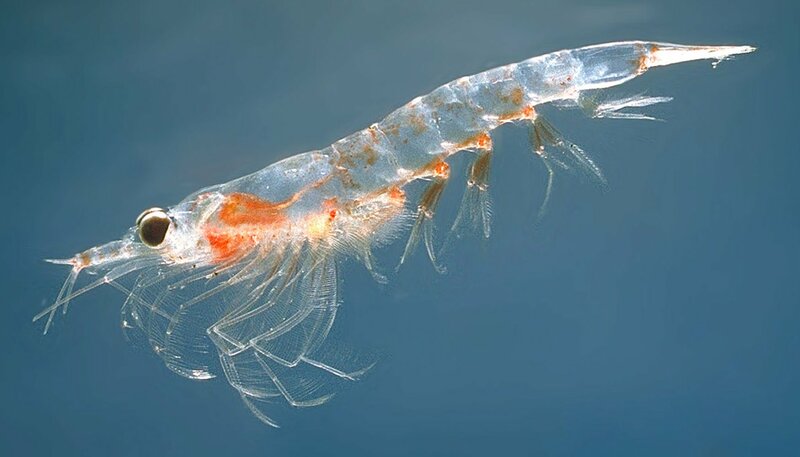 Since krill and shrimp at least can be sustainably farmed, it made sense to include them, having already included all other insects and arthropods. Additionally, shrimp and krill are very healthy sources of protein and omega-3 fatty acids, respectively, which is a big bonus for the entovegan diet. On the shrimp side, because of the variety they add in terms of taste, and on the krill side, because as a vegan it’s very difficult to get omega-3 fatty acids which are essential to the body – and krill oil provides that. Bugburger: Veganism is a movement/philosophy with a really strong moral codex were the core is that you should not harm animals and not use any products taken from animals (leather, milk, meat, etc). Is there a reason for calling it entovegan instead of ento vegetarian? Josh: Yes, because ento vegetarian, or entotarian, would include dairy, eggs, cheese, whey protein, etc. Many if not most of the people I’ve talked to about eating insects fall into that type of category it seems like, more of a flexitarian diet. For them it totally makes sense to eat insects too! But since I like taking things to extremes haha, I wanted to cut out everything that is processed, including cheese and dairy. A nearly-raw plant-based diet is essentially a vegan diet – no animal products at all. Then I just combined insects with it. Bugburger: You live in Cambodia, and when watching your films of cooking you seem to have access to a lot of different insects. Which insects do you eat, and where do you buy them? Josh: Mainly in Cambodia I eat various types of crickets and grasshoppers, along with silkworms, beetles, and the occasional tarantula. I spent a couple months in Mexico last year though with Chef Melgarejo, and we ate all kinds of awesome bugs – I actually bought a bunch back to Cambodia with me, because the agave worm (gusano de maguey) and a beetle called a Cocopache or Chawi, were my favorites. Unbelievably tasty. Bugburger: How much does it cost? Josh: Cost for insects in Cambodia is quite cheap, depending on where you buy them. Most can be purchased for under $5 per kilo, but it’s really difficult to get them consistently, so I have a handful of different cricket farmers that I buy from. On the street they’re available every day in small quantities, but they’re deep-fried so not very healthy. They’re a great way for tourists to get introduced to entomophagy though, so I’m glad they exist. And that’s how I started eating insects as well! But now I prefer to cook them at home. Bugburger: Buying edible insects in for instance Europe 2018 is expensive. Do you think you would include as many insects in your diet if you for instance lived in London? Josh: Yes, I would spend money to buy healthy insect-related products! Honestly, the quality of products in Europe is actually something I would very much enjoy. In Cambodia, yes I can get insects for cheap from street vendors, but they’re simply the raw insect fried in oil and then salted. And I make my own protein powder, which is fine, and get them raw and cook them at home how I want. But I imagine in Europe or the US I’d be able to eat insect protein bars, different kinds of insect snacks, cricket pasta, insect burgers, insect desserts, etc. There are so many new products I’ve seen hit the market the past year and a half. For me, eating healthy isn’t about price, because long-term it’s much cheaper to take care of my body now! 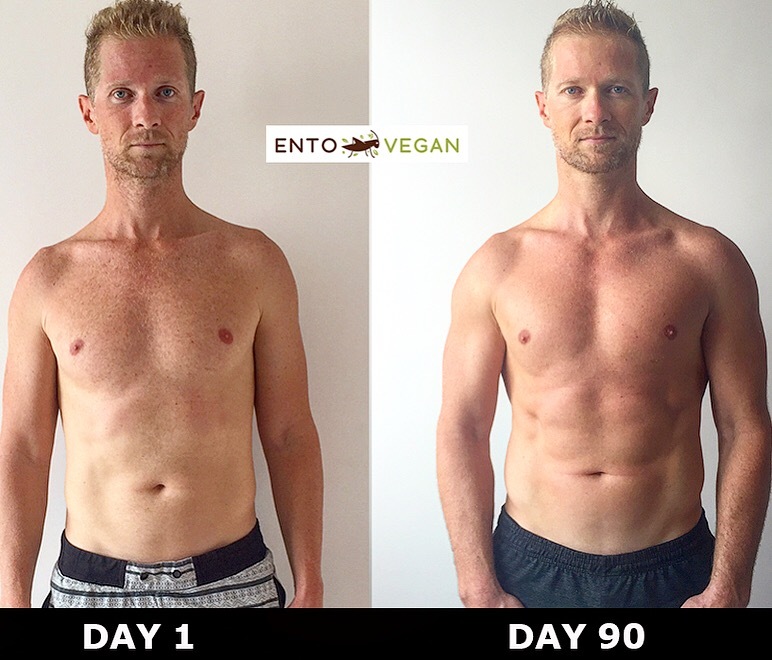 Bugburger: You made 90 day entovegan trying to get into better shape, what are your thoughts after this. Is insect protein good for people who want to gain muscle? Josh: I think so, yes. It certainly didn’t keep me from gaining muscle at all. I was actually a bit surprised at how good I felt in the beginning, and that never went away throughout the process, and still hasn’t – I’m still getting stronger and my body overall feels really good. It’s a pure protein source though, so it makes sense that it would work well for building muscle. Besides being clean protein, it’s high in other minerals and vitamin B, so combining a plant-based vegan diet with insect protein just makes sense as a perfect meal plan. Bugburger: How long have you now lived according to the ento-vegan lifestyle? And do you think you will continue doing it? I’ve been doing it since April of 2017, nearly 10 months now. I’m going to continue doing it for now, yes! I’ve seen positive changes in my health and energy, and it’s about the most simple, sustainable way to eat healthy that I’ve found, so I see no reason to do something else. Bugburger: And, last question: What do you think are the three best reasons for eating insects? People just need to give them a chance. Once a person tastes how delicious they can be, and understands how healthy and sustainable they are, they’re going to get over their disgust at “eating bugs” very quickly! Årets mest spännande bok är här! 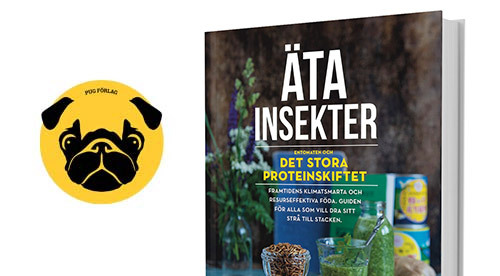 Äta insekter: Entomaten och det stora proteinskiftet. Den går att köpa i vanliga bokhandlar, hos förlaget, på Adlibris och Bokus. Läs mer om boken och köpställen här! Företag The Eating insects startups: Here is the list of Entopreneurs around the world! Politik Är det lagligt att servera och sälja insekter i Sverige? Här är svaren! Fakta Ät insekter – rädda världen! Här är argumenten! Företag Adam Engström: Nutrient är först med närproducerade ekologiska insekter! Media Plötsligt: Alla pratar om den nya trenden – att äta insekter! mjölmask Unboxing – Livin farms, den automatiska mjölmaskfarmen är här!